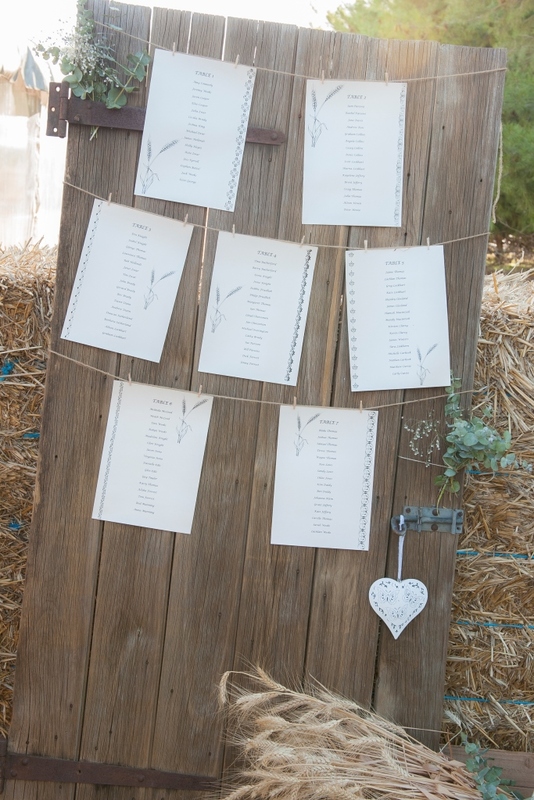 Embracing their rural lifestyle and supporting the region’s bridal suppliers were important elements in the planning of Julia Hollonds’ and Craig Thomas’ wedding celebrations. 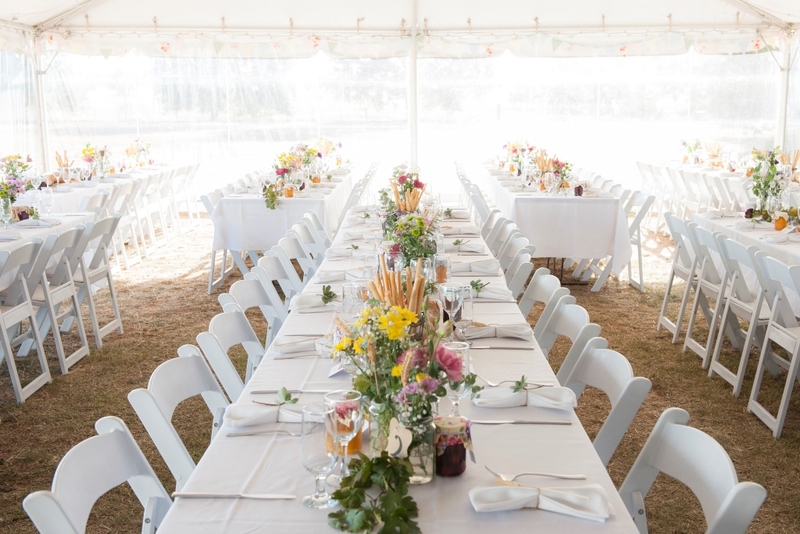 The cropping farmers sourced almost everything for their special day from Goulburn Valley businesses and were married in a beautiful garden near vine plantings on a private property at Dookie. 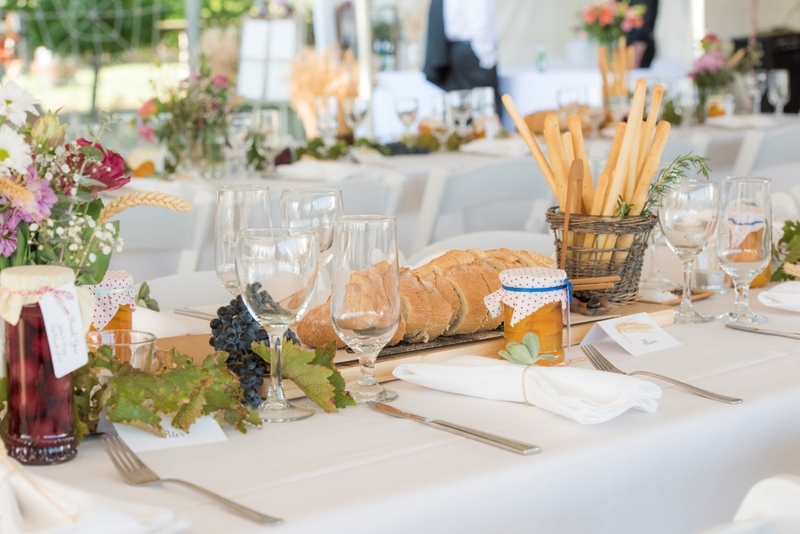 PICNIC SURPRISE: Craig’s surprise marriage proposal was on AFL grand final day, 2014 following a picnic lunch atop a hill overlooking paddocks of lush green wheat and yellow flowering canola. 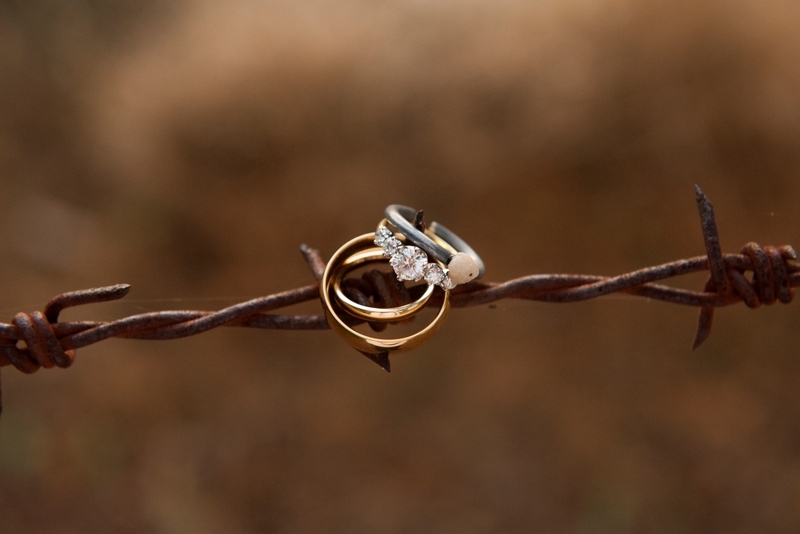 Julia’s homemade engagement ring, crafted from fencing wire and a shiny pebble, was later replaced with a diamond ring from Purdey’s Jewellers. “However I also wore the ‘real’ one from Craig on our wedding day,” Julia said. 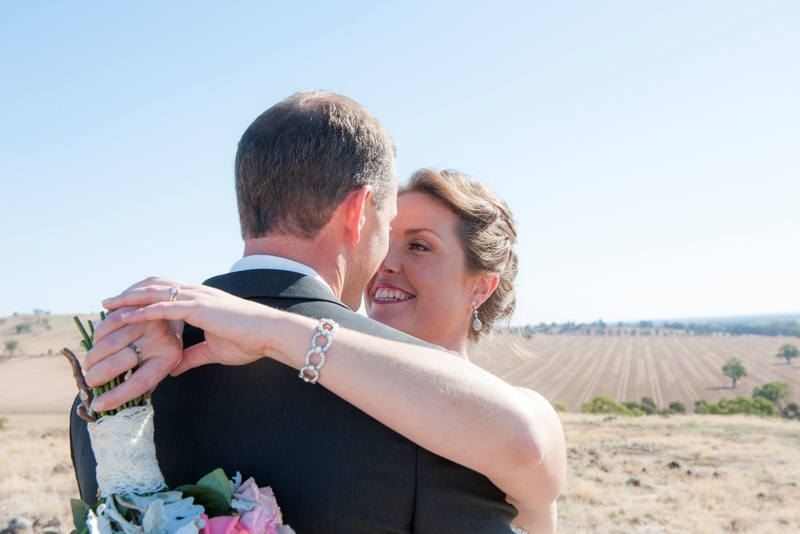 MARQUEE MAGIC: A marquee reception followed the marriage ceremony, with Goulburn Valley Party Hire supplying everything to create the beautiful, relaxed atmosphere Julia and Craig wanted to achieve. “Along with family and friends we sewed over 100 m of bright floral bunting for decorating the marquee and garden. We were really happy with the look and feel that we created,” Julia said.